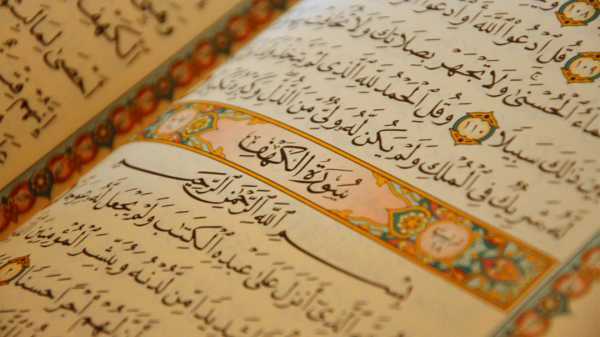 A common argument is that there is no point in reading, let alone memorising, the Holy Qur’an if we do not understand it, and that the language is foreign to us. This, of course, is one of many forms of demotivating sophistries by the master of fallacies, Satan. Subtle, yet convincing. Plausible, yet fallacious. Imam Khomeini, may his soul rest in peace, states that: We imagine that recitation without insight has no effect –this is the whisper of Satan. Had it not been for worship and piety, Satan would have been amongst the noblest, and behind the Divinely Guided (as), Satan would be most knowledgeable of creations in all forms of sciences. With that knowledge, and having sworn to be the enemy of mankind, the tools at the disposal of Satan, the cursed, is far greater than imaginable, and he should always be expected to be waiting in ambush for the next opportunity. Be on guard! Always. Even at times when one feels that finally they have started to climb the mountain of spirituality. For it could be an illusion, a decoration of our deeds, a deception of the time, and one that can lead to a greater loss. And we must also be on guard that the actions we think are pious and good, and performed in the name of religion, may not be according to the commands of the Creator. We must always question our actions lest they be decorated in a way that makes us believe something which is not. Yet, when wanting to recite the Holy Qur’an, we must first seek refuge from the cursed Satan? Satan will do everything to take you away from reciting the Holy Qur’an, finding every excuse, and showing you every temptation. Phones will ring, messages start coming in on social media, and lucrative deals and opportunities will be put before you. Take heed, this is the work of Satan, the Cursed one, tempting us away from the duty on hand. The youthful mind is designed to remember and memorise. That’s a primary function of the brain: Memory. It will seek out thinks to store in its memory, and will therefore chase poetry, passages, speeches, songs and whatever it can find in order to remember. Is it not better that one has a program to assist the mind in memorising the Holy Qur’an? Some of the enemies of the Puri?ed Household (as) have memorised the Holy Qur’an and it did not bene?t them, why or how could it bene?t us? Some will ask if there is even any narrations suggesting we should memorise, or that there is no point memorising without understanding. Part I will provide answers to these questions, while Part II will look in to memorisation technique.